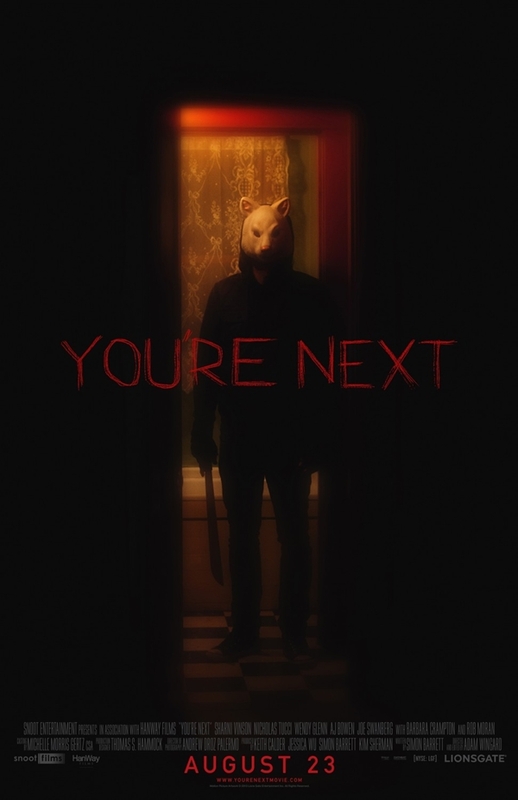 You're Next is one of the most anticipated horror films in years...and it is finally out in theaters this weekend! So, is the wait worth it? Zach reviews the film, featuring killers in animal masks, and lets you know if it is worth your time and money. Contrasting the opinions of naysayers, the horror genre is a complex and difficult genre, a genre that handles fantastic elements of people’s imagination and attempts to present them in a plausible manner. There are certain concepts that unfold on the screen very effectively, and others that fall flat on their faces (many of Stephen King’s best books, for example). In horror, there is a fine line between coming across as “cheesy” or unintentionally comical, and this fine line makes fresh ideas hard to come across. Looking throughout horror history reflects this fact; Scream’s success and originality launched an onslaught of teen slasher horror films that all attempted to take the slasher formula and capitalize on its popularity; Paranormal Activity sparked a wave of micro budget supernatural horror movies that appeal to those afraid of the unknown; Rosemary’s Baby’s success led to a number of rip offs that strove for the same uncomfortable paranoid atmosphere the film maintains. Unfortunately, completely fresh ideas occasionally lead to oversaturation in the genre, an oversaturation that is used by studios in order to make profits. Even the recent smash hit The Conjuring recycled horror tropes, but simply did so in an effective way. With so many films constantly being added to the horror cannon (it is the most accessible genre to indie-filmmakers), new ideas become sparse as each day goes by. The home invasion film has, for the most part, went through this oversaturation, and lost almost all of its steam. This type of film stretches back decades, ranging from Sam Peckinpah’s controversial Straw Dogs and Ingmar Bergman’s Virgin Springs to more recent fare like The Strangers and The Purge. This kind of movie appeals to the universal fear amongst people of being out of control of a situation in a setting that they are the most comfortable in. It is a fear that has, and will always be, universal and worldwide. However, this sub-genre has come to a point where most of its releases are now sub-par and overdone. From masked strangers without any motives whatsoever to a woman striving to cut out another woman’s baby, it appears that this sub-genre has been squeezed of all its creative ideas. Yet, director Adam Wingard (A Horrible Way to Die, V/H/S/2) and writer Simon Barrett would beg to differ, offering the off-the-wall insane film You’re Next for horror fans to feast their eyes upon. Having hit the festival circuit 2 years ago, You’re Next was picked up by Lionsgate and then given a terrible distribution, being pushed back time after time, and finally coming out in theaters now. Let it be known that You’re Next manages to breathe life into the home invasion film, but more importantly succeeds in its ability to be one of the best times to be had watching a horror movie in theaters for years. ​The story follows the Davison family, who is having a get together for their parents’ 35th year anniversary in a home they own in the middle of the woods. This includes both of the parents, Paul (Rob Moran) and Aubrey (Barbara Campton), brothers Felix (Nicholas Tucci), Drake (Joe Swanberg), Crispian (AJ Bowen), his girlfriend Erin (Sharni Vinson), as well as Felix’s girlfriend Zee (Wendy Glenn), sister Aimee (Amy Seimetz) and a hilarious appearance from Ti West, playing Aimee’s boyfriend. The reunion starts out friendly enough, until old rivalries and weak relationships unfold, turning the entire affair into a much more dramatic event than intended. That, and the fact that an unknown amount of people wearing animal masks seem to be stalking the home, which is then confirmed when an arrow flies through one of the windows during dinner, and people begin to become picked off one by one as the night carries on. There are many strong aspects of You’re Next, but perhaps the strongest is its progression. As the film continues on, it becomes much stronger and tighter, and by the halfway point its voice is clearly determined and the buildup feels earned and necessary. Unfortunately, the worst part of the film is the opening sequence, which is not terrible, but rather is an unnecessary “hook” that is seen in horror movies with much less going on than this film. The opening does not reflect the rest of the tone of the movie whatsoever, and just feels tacked on. However, as stated, the film has a nice development, and its shifts in tone and small plot twists manage to keep it constantly engaging as opposed to becoming monotonous. What starts out as a normal home invasion film becomes something more complex, and then from there the film descends into intense madness. It plays with more traditional material seen in these types of movies, and then manages to bring so much energy to its material that these tropes become destroyed as the movie develops its own distinct atmosphere and direction. Additionally, You’re Next has an excellent cast of characters, and perhaps one of the strongest female leads (and leads in general) in a horror film that has ever existed. Appearances from Joe Swanberg and Ti West certainly have layers of charm (especially when the two get into a small argument about filmmaking at the dinner table), but the person who truly steps up and delivers a breakout performance is Sharni Vinson as Erin. Without revealing too much, Sharni manages to keep up with the chaotic script as it delves into more intense territories, and grounds her character in an interesting and often funny way, delivering some straight up badass moments that are worthy of applause (which were given by many people in the audience). ​Keep in mind though: this film is brutal. It is surprising to see that this was released with only an R rating and not much trouble from the MPAA. Multiple people are brutally stabbed, sliced, shot, bashed, and smashed to their deaths, and the film shows anything but restraint when these scenes occur. It takes risks in the amount of gore it shows, and just how violent certain moments become. This proves to allow the film to have some unbelievable and impressive special effects work, as well as some straight up kickass death scenes. There are truly some incredible sequences involving characters fighting against the killers, and these sequences are heightened from the fact that Wingard understands how to inject incredible amounts of suspense and tension to build up to these scenes. Indeed, the film is very gory, but it also has some truly chilling moments that are well constructed and help to enhance the crazier moments of the script. One of the most surprising aspects about You’re Next, however, is the fact that it is hilarious. The film, right down to its last shot, has a pitch black sense of humor, which livens the mood of the movie throughout, and makes for an overall very entertaining experience. Even in its most morbid moments, the film manages to find humor that is absolutely hilarious to watch. Plus, the sound design is incredibly well done, especially during scary moments, in which it utilizes bizarre non-diegetic noises to create an uneasiness. However, what stuck out the most was its score, which sounds like something Goblin would have written for an Argento flick in the 70’s, which is INCREDIBLE. 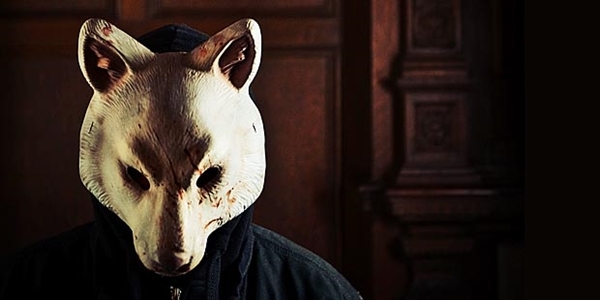 Overall, You’re Next manages to take familiar concepts with the home invasion sub-genre, and turns them right upside down. It is well executed, well-acted, and features one of the coolest and most badass protagonists in a long time. Its dark sense of humor and piles of gore make for a film that horror fans will go nuts over, and movie fans in general will be unable to turn away from. It is truly one of the most fun times to be had at the theater in a long time, and should definitely be checked out by audiences, especially to help support filmmakers like Adam Wingard. I could not stress seeing this enough if you are a horror fan, and encourage others to see it as well. It is a film with a strong voice and a relentless energy that screams to be watched. By the end, you will not be disappointed, although you may never look at a blender the same way again. Highly, highly recommended.